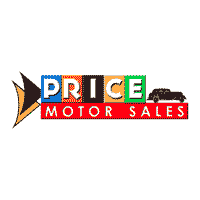 Welcome to Price Motor Sales, your source for Chrysler, Jeep, Dodge, and Ram vehicles in Cassville. Whether you’re looking for new vehicles or used models, we can walk you through the financing process. Whether you’re located in Huntingdon or Mount Union, we hope you rely on us for all things CDJR! At Price Motor Sales, we provide a full-service automotive experience. Our sales staff help you find the right CDJR model for your Altoona commute, and our service department will keep it in top condition for years to come. No matter what you’re looking for, you can expect the highest quality vehicles and services. We’ll provide you with all the information you need to make an informed car-buying decision. If you have questions before stopping by our dealership, please don’t hesitate to contact us! We’ll be happy to answer any of your questions in a timely fashion. We look forward to helping you find the right CDJR vehicle for your State College drive.